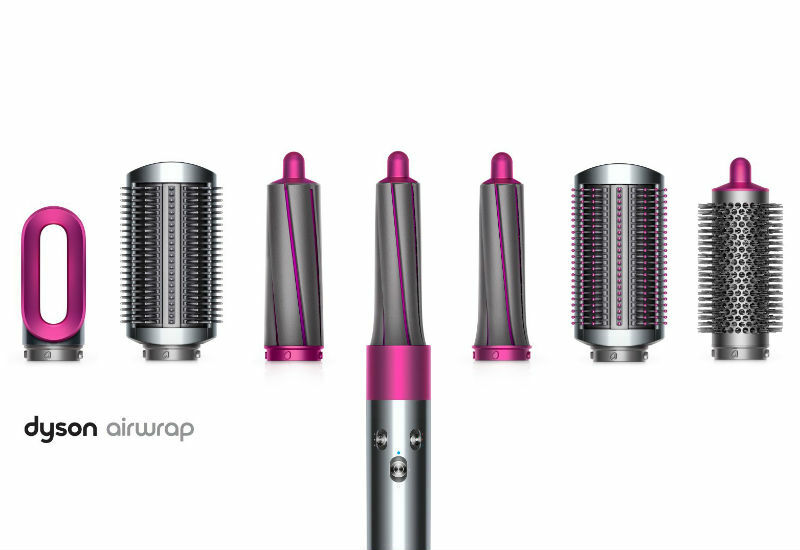 Would you ever spend $550 on a hair styling tool? Dyson is certainly willing to bet on it. And with the brand's track record (including the massively popular, almost-as-expensive Dyson Supersonic, $399), it might just be right. Despite its sky-high price tag, the new Dyson Airwrap, $549.99, is quite the enticing buy: It's designed to do pretty much anything you could dream of to ask of a regular hair styling tool — but since it focuses on airflow technology rather than extreme heat, it causes less damage. Oh, and get this: It's designed to be used on wet hair (can you say "gamechanger?"). It's currently available in a few different options: The Volume + Shape set designed for fine hair and the Smooth + Control set designed for frizz-prone hair. Each comes with four attachments and retails for $499.99. You can also nab the Airwrap Complete, $549.99, which comes with all available attachments. The attachments fall into different categories — there's a pre-styling dryer, a variety of brush attachments (some meant to smooth, some meant to volumize), as well as curling attachments with 1.2 and 1.6 inch barrels. Convinced? We just might be...because even with a price tag to rival that of a major household appliance, the siren call of easy styling (with reduced damage) may prove too difficult to ignore.